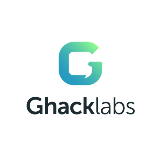 The Backstory on Ghacklabs — A New Platform For Journalists, Bloggers and Founders to Get Free PR. Ghacklabs is really great! I used it for my latest post, and it was a super easy way to get input from people. Definitely recommended! Great post Luke. Always cool to hear the backstory on how startups get started. It is really easy to run Meteor App in development mode. It’s a bit harder when you want to run it as native node.js App. I’ll show you how to run Meteor App as a system service on Ubuntu using systemd. A List of Australian Startups That You Should Know About (Part 9): 201–225 ~ Special Adelaide Feature.